The devastating earthquake and tsunami that hit Japan in March 2011, caused enormous damage and took many lives. 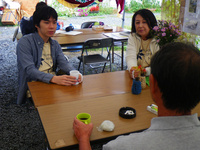 Moreover, the nuclear power plant disaster in Fukushima, continues to threaten the health and well being of many people. Our thoughts and deepest sympathies are with those who are still suffering from the consequences of this tragedy, and those who lost friends and family members. 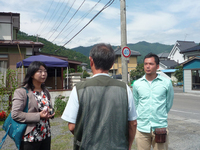 Immediately after the disaster, Human Rights Now (HRN) launched a project on the human rights situation of earthquake,tsunami and nuclear disaster victims. Our efforts include investigation of the human rights situation of affected people, publishing statements and reports, policy proposals based in international human rights standards, organizing seminars and briefing sessions with United Nations human rights experts. 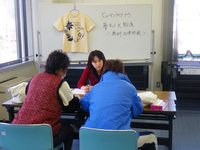 From June 2011, HRN also provided legal aid services in Iwate and Fukushima prefectures. Your kind support is appreciated as we continue our work to ensure that the rights of victims are protected. 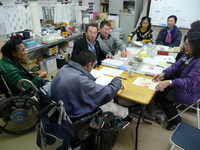 For more information on our work regarding the situation after the Fukushima nuclear accident, please refer to the links below.